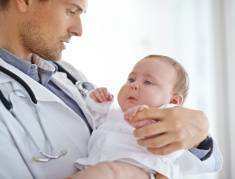 Paediatrician is the name for doctors who treat children. A child can bring a claim in their own right, but you as a parent will act on his or her behalf as your child’s ‘litigation friend’. As a parent you would be looking after your child’s interests by instructing one of our medical negligence solicitors on your child’s behalf. Paediatrics can be diverse and medical negligence cases are complex, therefore it is important you instruct a specialist solicitor. Our specialist clinical negligence lawyers at Chadwick Lawrence have successfully concluded many compensation cases where there has been negligent medical care of a child. Failures in neonatology care, (at birth or in the weeks or months following birth), such as failures to diagnose or treat conditions and illnesses including neonatal encephalopathy and cerebral palsy, diabetes, neonatal infections, hypoxia, respiratory distress, jaundice, kernicterus, epilepsy, bowel obstruction or kidney problems. Delay in diagnosis and treatment of childhood cancers including leukaemia, brain and bone cancers. Delay in diagnosing and treating childhood fractures. If you believe that you, your child or a family member may have a paediatric medical negligence claim please contact our expert no win no fee medical negligence lawyers.